3. THE KING AND QUEEN COMPETITION OF THE WORLD OF FASHION AND BEAUTY ACADEMY OF DONATED 50 BUSINESS SCHOLARS TO OUR FOUNDATION, 50 KİSESME GIRLS TO GIVE TO OUR CHILDREN TO OUR CHILDREN TOGETHER. 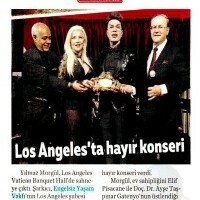 Yilmaz Morgul gave a concert in Los Angeles to America. Yilmaz Morgul gave a concert in Los Angeles to America. The special night organized at Los Angeles Vatican Banquet Hall in Los Angeles with the Los Angeles branch of the Unblocked Living Foundation and the Association of the LOA / Apricot Tree, gave a three-hour charity concert. 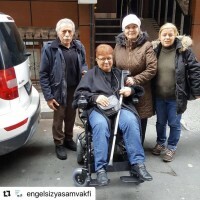 Visit to the Foundation for the Unhampered Life from the Federation of the Handicapped Life / Non-Handicapped Life Foundation donated five wheelchairs to women with disabilities on elsiz International Women's Day Eng. Kadir Delibalta, head of the Istanbul headmen 's federation, applied to our foundation. 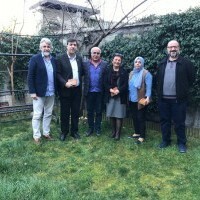 We donated the wheelchair to Naciye Camcı with 86% Disability Report through the Foundation Founder and Board Member Nezih Ertuğrul Erdem and published it on his request. Çukurova visited the pediatric patients who were being treated in Acıbadem Hospital's Oncology Service together with our regional manager and general coordinator and board member Şeniz Ulusoy. Our donator Gülsevim Levent was donated to our foundation. 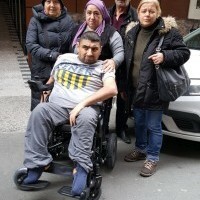 Our donator Gülsevim Levent donated to our foundation 1 donated wheelchair with a 96% Disability Report residing in Beyoğlu Ayle Sivri'ye our donator, the Foundation officials and wheelchair was delivered by the World. 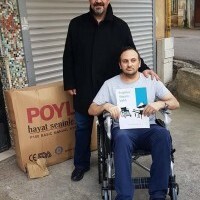 Our donator Sabriye Tülin Gücavlı donated 1 staple wheelchair Okmeydanlı donated to our foundation by Serkan Aktiş, who has 96% disabled Tapor, was delivered by our donor and foundation officials and wheelchair world. 9. LIFE FOUNDATION YEAR'S BEST AWARD CEREMONY TUESDAY 08 JANUARY 2019 DOUBLETREE BY HILTON ISTANBUL TOPKAPI " ALL CHILDREN'S ASSISTANCE ASSOCIATION "